When it comes to building a custom home, there are plenty of horror stories about going over budget. It’s probably one of the most frustrating parts, and it can be a huge deterrent for people in the market for a new home. But, luckily I’m here to show you that it doesn’t have to be that hard to get your custom dream home on a budget! in 4 simple steps, my goal is to show you affordable options to the industry’s traditional, more costly methods. Want to recreate this stunning patio design for less? While Chris + Julia's completed backyard design probably cost them more than $20k (including the custom deck and D.I.Y. fireplace), I wanted to show you that your favorite designs don’t have to break the bank! Here are a few budget-friendly options that achieve the same look, all for under $5k. Some say that the living room is the heart of your a home. The warmth, mix of styles and natural elements in this space make it feel instantly comfortable and homey. But if I had to guess, the cost for this design probably came in around $20k. That's likely more than the entire renovation budget for some homeowners... So, I wanted to recreate this design at three different price points to show that you don't always need a lot of money to style the perfect living space! The raw wood trend has been all the rage, and has recently inspired an ultra-modern twist on pegboards. In the past couple months I’ve helped two of my clients, Natalie and Pei, create pegboard-inspired feature walls in their home offices as a part of their Spruce Kit pacakges, and couldn’t be happier with how well these capture both of these girls' personalities. Check them out! if you've ever watched House Hunters, you know that even the smallest thing, like the paint on the walls, can turn off even the most serious of buyers. So, whether you're trying to put your home on the market, or just improve the zen in your space before your in-laws get to town — these 6 tips will help you stage your home like a pro! I even included some visuals so you can see what a difference these changes make. If you’re a design junkie like me, you have probably been hearing a lot about Round Top the past couple weeks. For those of you who don’t know, Round Top is a small Texas town known for it’s Antiques Week Fair — which takes place in the fall and spring every year. Check out a few of my favorite finds from this year + my top tips for antiquing in this super fun post! As we go through life, we discover everything in our world through one or many of our five senses, so it only makes sense that we would want to design our spaces with those sensory stimuli in mind. In my opinion, one of the easiest ways to create a well-balanced space is to make sure that there are elements in my designs that embody or satisfy each of the five senses — touch, sight, smell, sound and taste. Gallery walls are all the rage! Not only is it a great way to eliminate blank white walls from your home, the various elements in your design can be a direct reflection of your personality and lifestyle. Check out four easy steps to creating a dreamy gallery wall in your home! One of my favorite parts about interior design is how each style can tell a different and unique story. No matter what your design style, you can create a space that reflects YOU! Bookcases are often one of the most popular ways to include a little personality into your home. So, I put together three all-different and all unique styles, from mid-century modern to a minimalist, to show you just how easy it is to achieve the perfect, well-balanced look for your home! Hi, y'all! 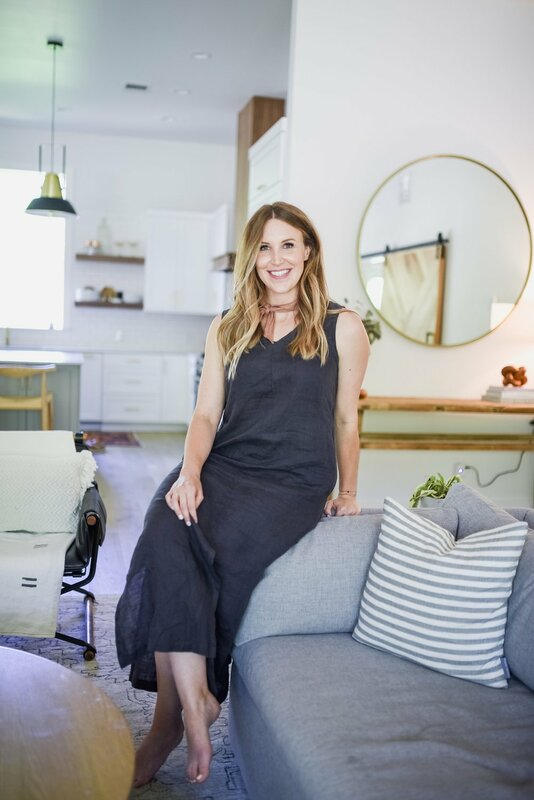 Welcome to my design blog—where you can find my latest design tips, project updates, links I love + a few DIY projects for your home. Enjoy! BEHIND THE SCENES | LOCALE "APARTHOTELS"
Want a Monthly Dose of Love Ding? 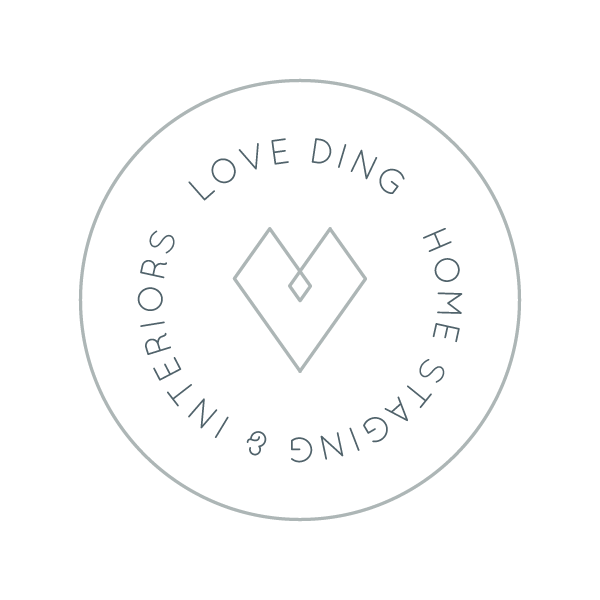 Subscribe to the Love Ding newsletter to receive design tips, project updates, and more! Please check your inbox for a confirmation email. If you don't receive a confirmation email in the next few minutes, be sure to check your spam folder and add hello@withlovefromding.com to your contacts to prevent future emails from getting lost!